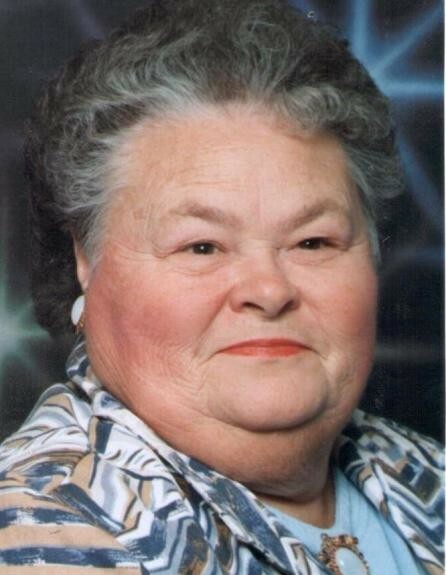 Christine Elizabeth Greer Ollish, 83, of Waynesburg, KY passed away on Wednesday, January 23, 2019 at Lake Cumberland Regional Medical Center in Somerset, KY. Born January 5, 1936 in Waynesburg, KY to the late Charles and Lena Irvin Greer, and she was the widow of the late Robie Ollish. She was owner and operator of Family Flowers in Cincinnati, OH, and Country Flowers in Stanford, KY, and was a member of Grace Fellowship Church in Stanford, KY. Survivors include three sons, Charles Ollish (Connie) of Waynesburg, KY, Kenneth Ollish (Marcia) of Pataskala, OH, and Fred Ollish (Mary) of Fairfield, OH; two brothers, Ronald Greer, and Richard Greer; three sisters, Betty Bass, Loretta Greer, and Ann Doss; eleven grandchildren; twenty two great-grandchildren; and several nieces and nephews. In addition to her parents, she was preceded in death by a brother, Paul Greer. Visitation will be Friday, January 25, 2019 at Grace Fellowship Church from 5-8pm. Funeral service will be 11am Saturday, January 26, 2019 at the church with Reverend Vola Brown officiating. Burial will follow at Mount Moriah Cemetery in Highland, KY. Spurlin Funeral Home, Stanford is in charge of the arrangements.